Snow and rain are in the forecast for the next week…again, but the birds and I have been enjoying the sunshine when it makes its appearance! 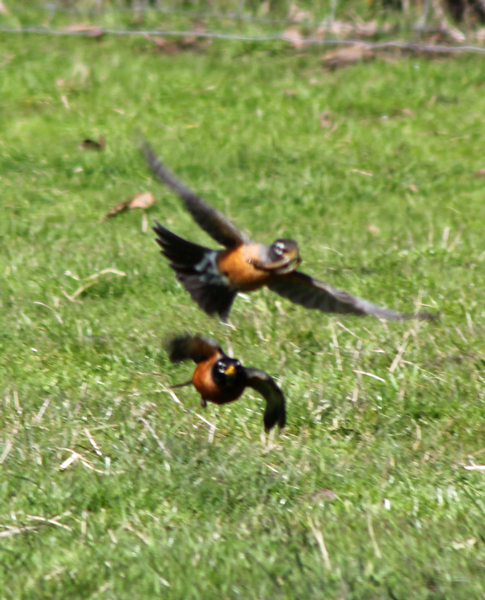 I wish this picture was in better focus, but I love the look on the Robin’s face that is pursuing the robin with the worm. In addition to the robins, we have these beauties this year. 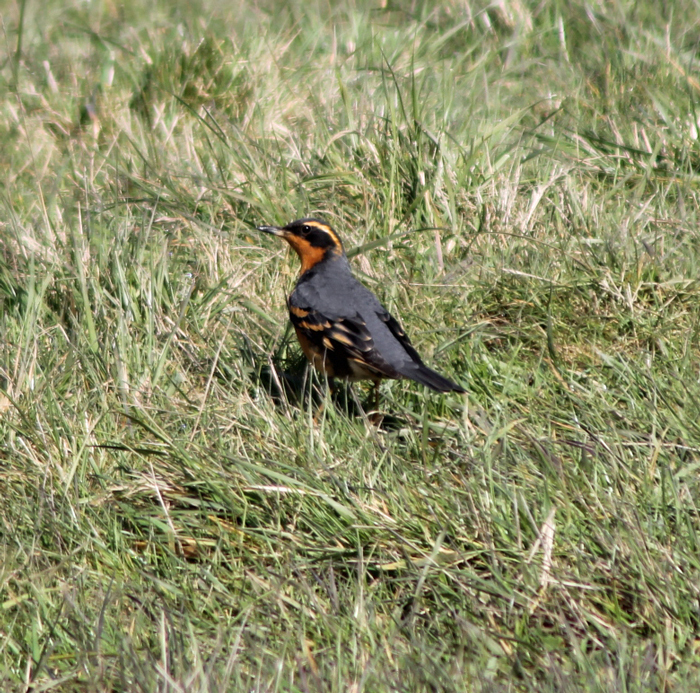 They are Varied Thrushes and they are EVERYWHERE!!! 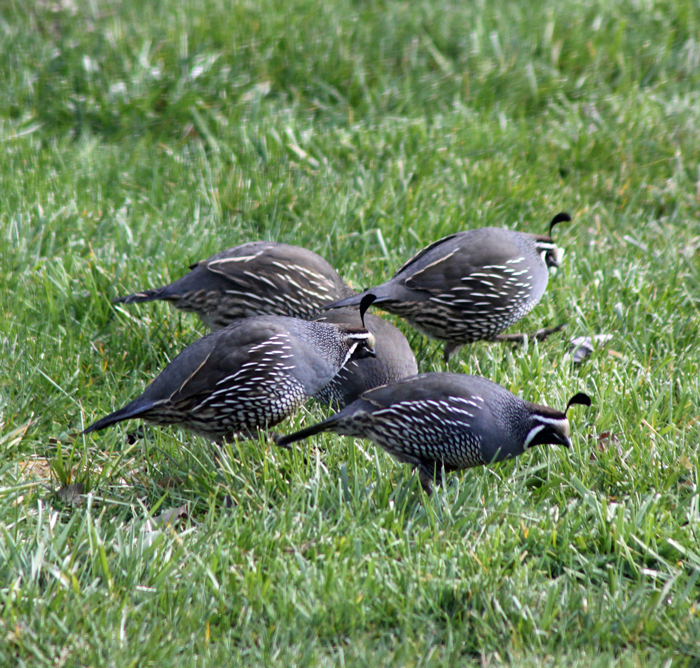 I noticed one or two a couple of weeks ago and now the pastures are full of them. Not only are they very pretty to look at, but they are also fun to listen to…an interesting whistle that varies in pitch. I love watching them stare at the ground waiting to make their move! 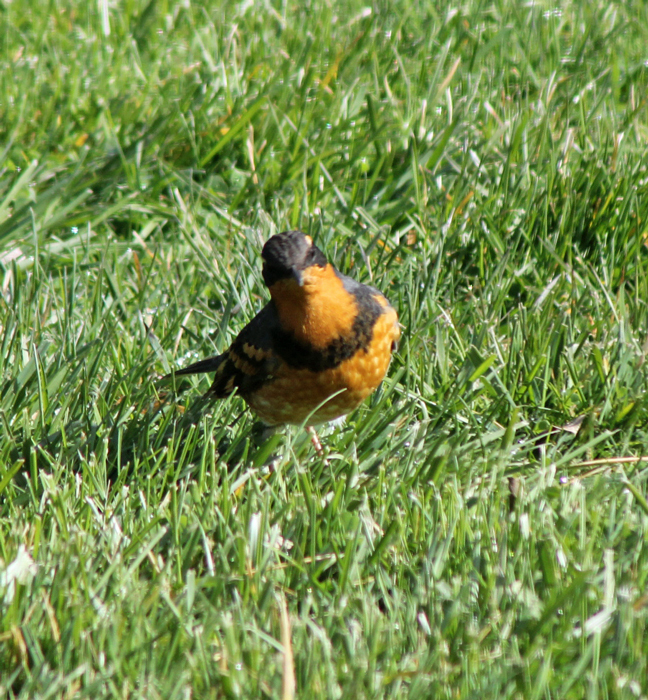 My favorite little birds have been out in force. 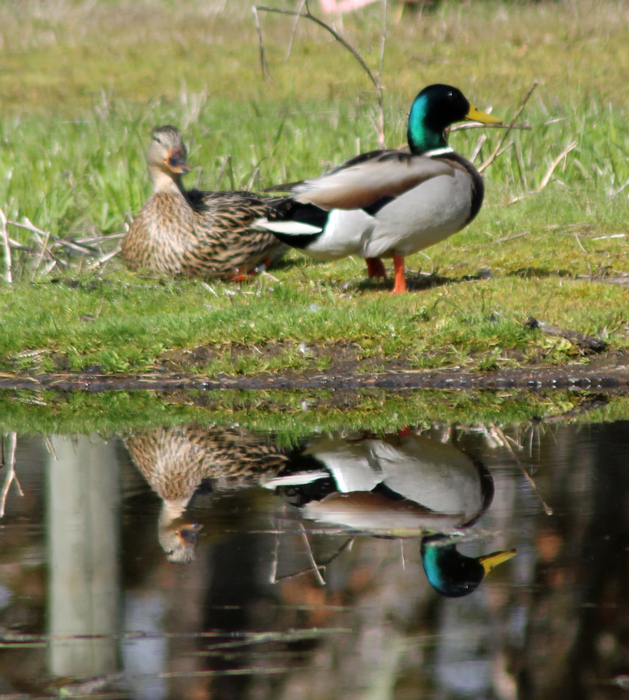 Our pair of wild ducks have become very comfortable with life here on the farm and can be found on the pond most of the time. 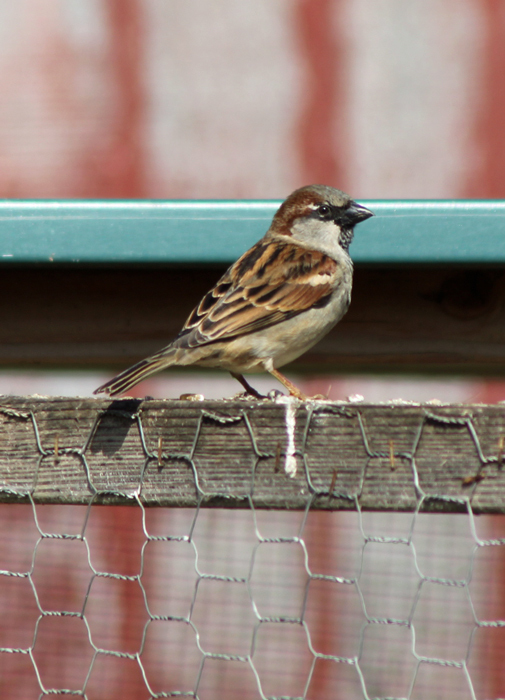 Male House Sparrow looking for a free meal from the chickens. 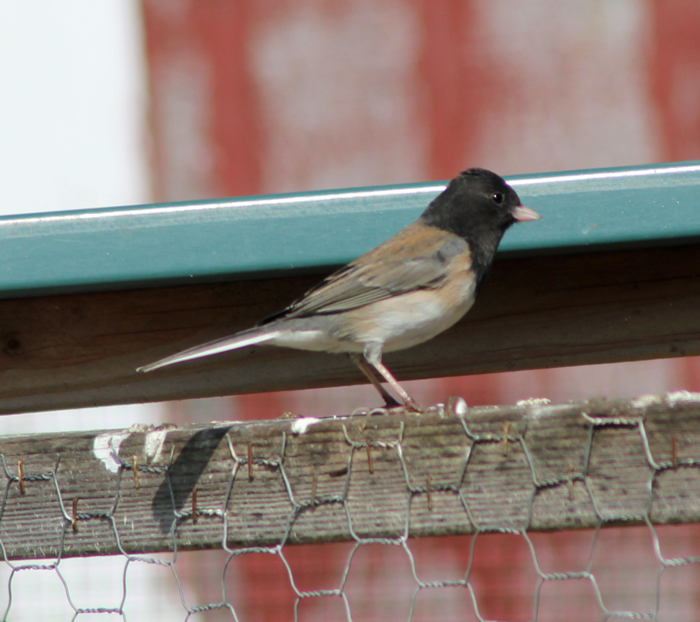 Dark-eyed Junco (Oregon) waiting for his turn in the chicken pen. 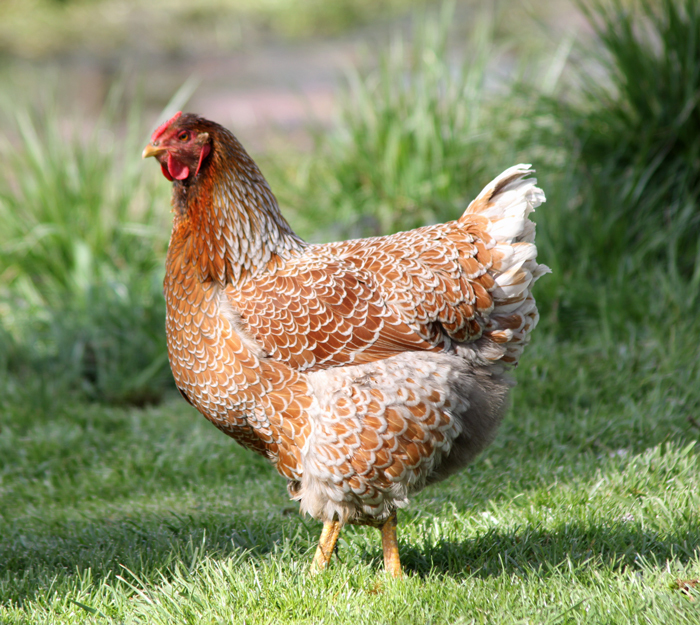 The chickens don’t really seem to mind sharing their extra food. There are some special birds hanging out inside too! 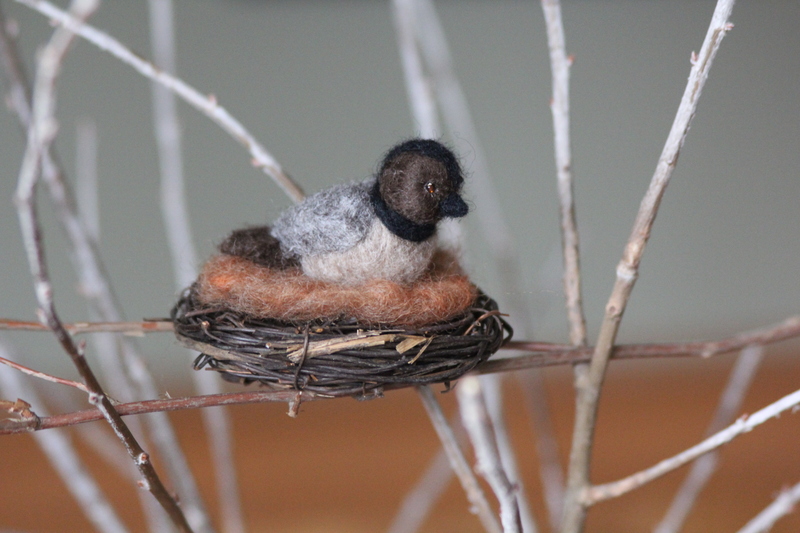 Here is one of my felted birds I have been making getting ready for the Spring Fling Fiber Sale next weekend in Oregon City. 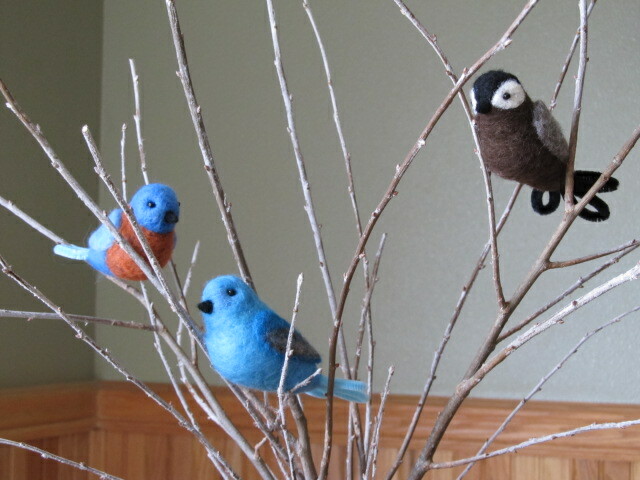 Here are a few more birds that will be going with me. This is the first time I will be attending this fiber show and I am very excited to check it out!